Once upon a time I went to Italy on a garden trip in Tuscany. I have said many times since then that I want to return to Pienza and Lucca. Hours of research for a novel are often condensed into a few sentences, but the research on Lucca convinced me that it has everything a person could want if they are considering a move to Italy. In writing Facing East, Robert Davis, one of the main characters, flees to Italy looking for a kind of Shangri-la. He thinks he has found it in Lucca. If Italy is on your bucket list, Don’t miss Lucca. Robert stood blowing cigarette smoke out the bedroom window. He’d given in to this old habit, telling himself that the stress of finding the right place to live was temporary, and so was smoking. The lights were on in the apartment across the narrow street where a young couple lived, fought often, and made up in leisure; both with an equal amount of rumpus. It amused him, this Italian gusto. Robert was now listening for the young man’s return each afternoon. Calling up to the open window for his wife, she would appear, shouting down, gesturing and excited. This Italian exuberance was invigorating. The close proximity of the apartments along his street formed an enclave where the inhabitants had become a distinct congregation unto themselves. At the end of the day, it was as if the residents duly noted whether all were present and accounted for. In time, Robert hoped his neighbors would account for him. He already loved the sights and sounds of the tapered street, the smell of cooking, and the laughter and vitality that lingered after all was dark and quiet. The combination of these things served as a tonic Robert intended to imbibe daily. Facing East is now available on Amazon in paperback. This entry was posted in AtoZ Blog Challenge April 2015 and tagged Facing East-Novel, Lucca Italy. Bookmark the permalink. Never been to Italy, Stepheny. I want to see Florence first, then the rest of Tuscany, and quick trips to Rome and Vienna. We’re hoping we can get there before we’re too feeble! 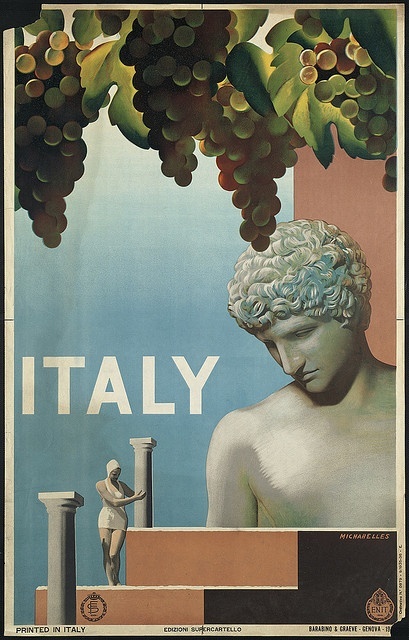 I’m going to Italy in August, you are making it sound better and better with each post. Lucky you. Do you need someone to carry your bags? Do look into Pienza and Lucca in Tuscany. I loved writing about Italy in the new novel. Wonderful memories to help inspire me. Soon you’ll be smiling too. Tuscany is very lovely, I don’t remember these towns, but it was a long time ago that I went. Just ordered your book! 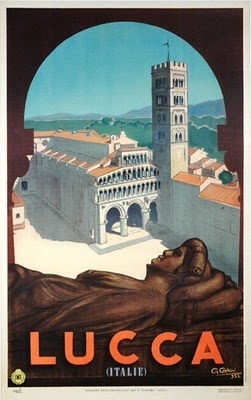 Where did you find the travel poster for Lucca? I want one for my office!! Great post. I adore Lucca and its connection to Puccini. I like how your doing this blog for your novel. I’m doing something similar too. Looking for where I learn more about your book. Don’t know how I missed your comment and am just getting back to you. Sorry. Using the setting for the novel as my theme this year during the #Challenge has been fun. Wish the two of us could stroll through Lucca today, stopping often to have their ice cream and get acquainted. We can pretend. If you press on the cover of the book, Facing East, it should take you to Amazon. Also, on the ribbon of the blog it says, Facing East. That will tell you what the book is about. Come back soon.